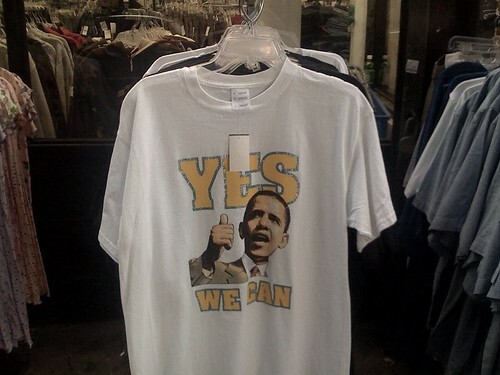 An unofficial Barack Obama t-shirt on sale in front of a store on Broadway near Marcy. Photographed on October 12, 2008. This page contains a single entry from the blog posted on October 13, 2008 12:59 AM. The previous post in this blog was Exchanging Arms with Amnesty. The next post in this blog is Happy Horsy.